Why double chin and jaw line fat appear? Because of ageing, genetics or perhaps a little extra weight — the double chin is a feature most people don’t see as desirable. What medication is used to remove fat? Main ingredient naturally occurs in our bodies and it’s role is to dissolve and breakdown dietary fat and cholesterol from natural body fat storages. Similar to how bile dissolves your dietary fat in your stomach. The treatment destroys permanently fat cells, therefore these fat deposits won’t return (however, if you will need to maintain your weight and also aging process still in the progress and after few years you may notice that the fat is slowly building up). VISTA Clinic Australia Melbourne appreciate cosmetic patients to maintain their looks naturally and regularly. Our Melbourne cosmetic clinic philosophy is to do rather less, but more regular. Such cosmetic approach ensures more natural results, safety and it’s cheaper for cosmetic procedures, when not all at once. 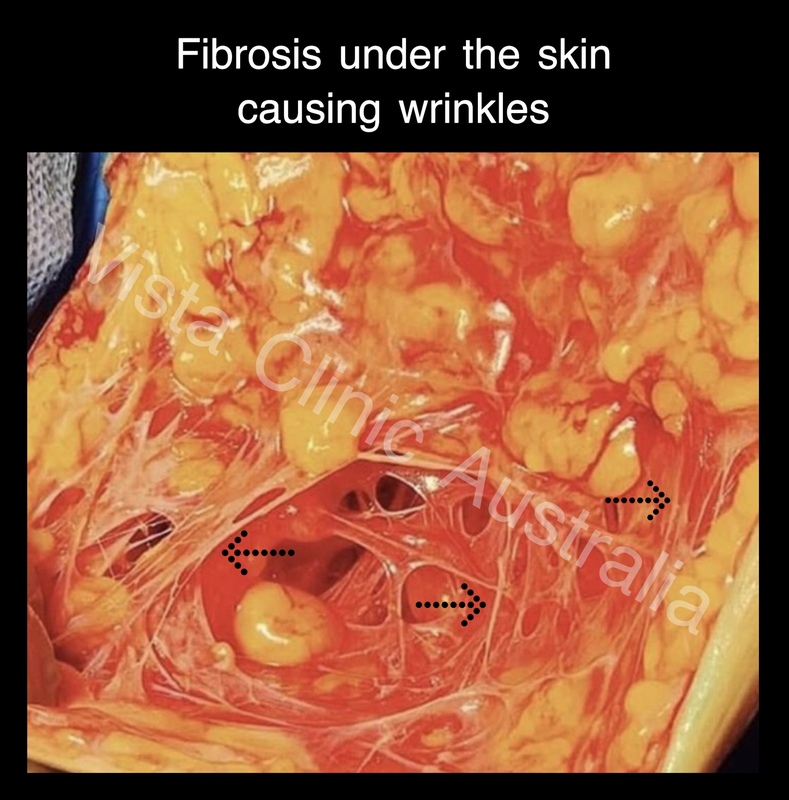 Fat dissolving injections particularly works better in combination with dissolving fibrosis enzymes to ensure all contributing structures are addressed and fat dissolving injection is distributed equally. Cosmetic injections in general work best in combination achieving synergy effect. It has been clinically proven agent for a number of years, used for a number of indications in medicine (like dissolving fat plaques in heart disease) and cosmetic medicine. During the free cosmetic consultation on best individual treatments for you, VISTA Clinic Australia Melbourne experienced cosmetic physician will discuss medications used, decide which combination of fat dissolving drugs and doses is best for you and costs, as well as alternative treatments, pros and cons of fat removal methods. What should I do before procedure? Have something to eat before procedure. Take 1 gramm (2 tablets) of panadol. Wear scarf or other loose clothes to cover treated areas. What is after procedure advice? 1-3 days. You should drink plenty of fluids and gently massage the treated areas after your treatment. Simple analgesia (panadol/ibuprofen), ice application for 10 min every hour will make it more comfortable, but most patients don’t need it. Don’t use cosmetic creams/procedures on the area. 3-7 days. Massage/endermology/lymphatic drainage etc is recommended to speed up recovery and decrease lumpiness. If any signs of infection at this stage – please, let us know immediately (redness, swelling and fever significantly increased all the sudden). Sometimes you may notice numbness – it’s rare side effect, which is self resolving in few weeks. Extremely rare (we never saw it, but should let you know for medico-legal reasons) is skin necrosis – if your pain increased, skin turend black or pale – contact us immediately. 7-14 days – continue massage. Start regular skin care. You will notice that swelling is improved, bruising is also improved (if it was any). If lumps persist over 6 weeks – correction with injectable medications will be free of charge for you. *In case of any concerns/problems, please, let us know. How lypolitic procedure look like? Doctor will assess, measure and take photographs. Procedure is usually well tolerated, but we usually apply anaesthetic cream to improve patient experience. In aseptic conditions, doctor will inject the fat dissolving medication into your indicated problem areas. You may experience swelling, warmth, bruising, tenderness and occasionally lumps after the treatment, but such reaction actually correlated with clinical efficiency and temporary in nature. Other side effects are rare, and include nausea, fever, diarrhea, infection or allergic reactions (again, rare, but we must let you know about possible risks of fat dissolving injections). There are no reported anaphylactic reactions up to date. In clinical research, 3 treatments were needed to see significant results. However, because fat deposits are removed permanently each time, patients decide if they are satisfied with result after 1st procedure. Am I suitable for fat dissolving injections? Most people are suitable to this minimally invasive procedure, but there are some cautions your doctor will have to assess. Patients who are pregnant of planning to be, breastfeeding, having active auto-immune disorder, severe hypertension, uncontrolled diabetes, liver or kidney impairment are not eligible candidates for fat dissolving procedures due to safety concerns. Removes fat storage cells, therefore fat will not return in this area. Adipocyte, also known as a fat cell or lypocel is like a balloon. As we gain weight, the balloon is inflated. 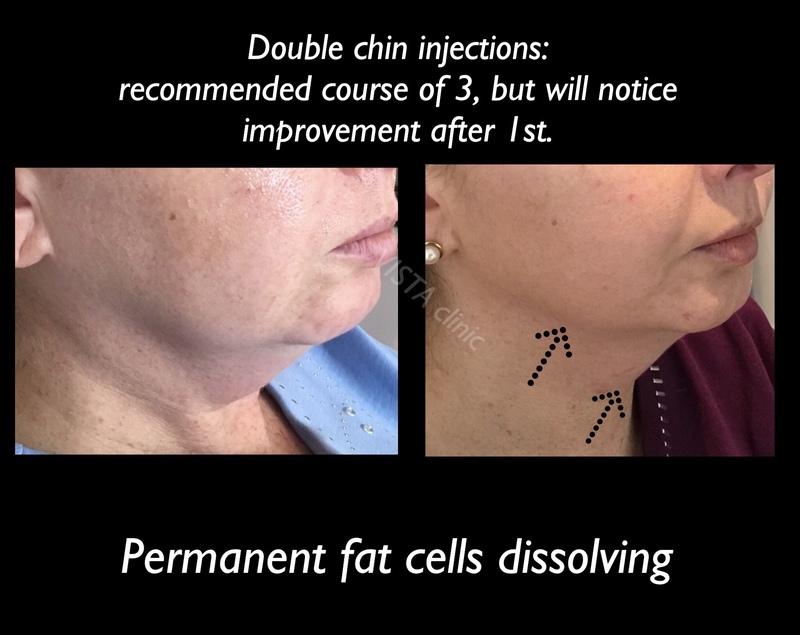 When we loose weight (dream of 99% of our Melbourne cosmetic patients, doesn’t matter how gorgeous they already look), the fat cell is deflated like a balloon. Fat removing injections destroy the “balloon” of fat cell, therefore fat can’t return. You will be pleased to know that fat dissolving injections are permanent. The destroyed fat cells will not return. However, aging process is still continuing, face structures slowly pulling down under gravity and worsening of elasticity. “Floor” of the mouth is hanging down more and more. 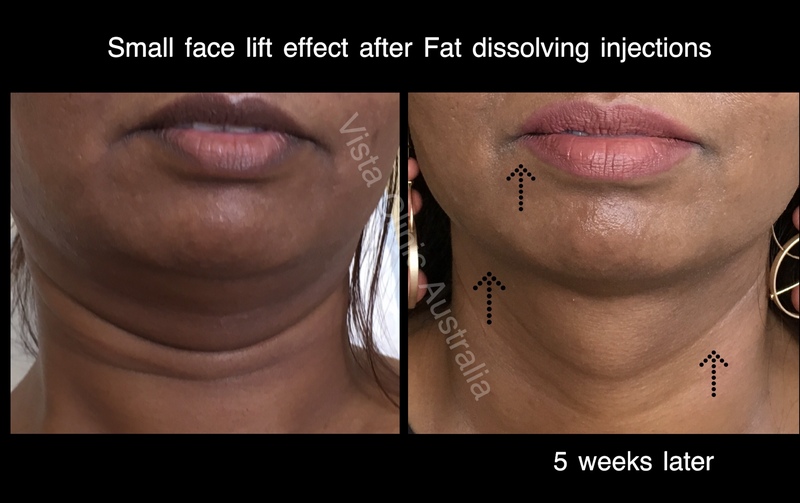 Therefore VISTA Clinic Melbourne usual protocol is up to 3 fat dissolving injections 4-6 weeks apart to restore the desirable appearance and then annual maintenance fat dissolving injections. Such natural and gentle cosmetic approach is highly appreciated by our VISTA Clinic patients in Melbourne clinic, who usually prefer slow and natural progress and well maintain their face. What areas fat dissolving injections can be used for? Double Chin is an indication with the most clinical research base. Non surgical fat dissolving treatment is designed to sculpture lower face: chin area, jowls, and countur neck. What is downtime after the fat dissolving procedure? 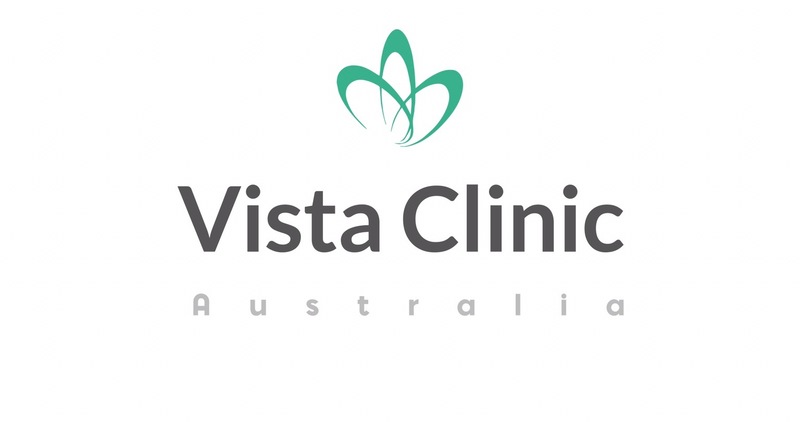 VISTA Clinic Australia Melbourne cosmetic clients are mostly busy and active people, who prefer no downtime or very little downtime. Hey, life is too short and our cosmetic patients usually keen to have treatments, which allow them to continue their lives as usual. Luckily, modern cosmetic medicine allows our experienced cosmetic doctors to have alternatives with little downtime. 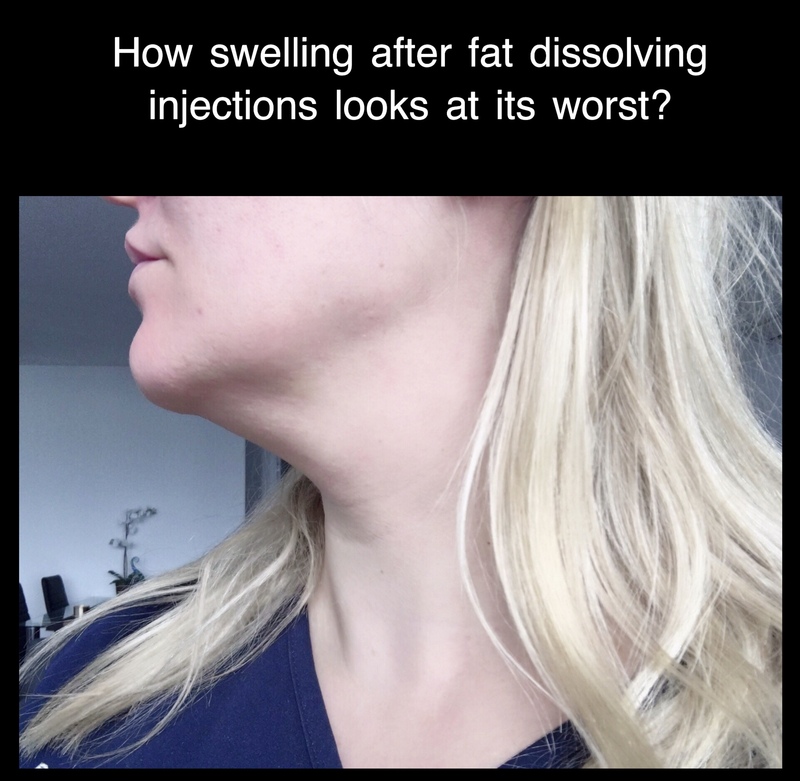 The way fat dissolving injections work that they destroy fat cell wall and then your own body clear all the “rubish”, which naturally done by swelling and inflammation. No swelling – no fat removal. More swelling – more fat will be gone. 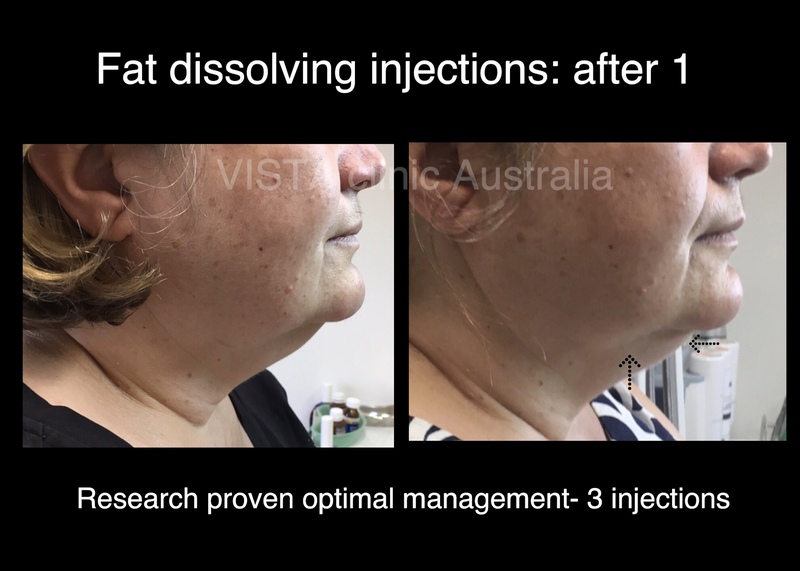 Although clinical research evidence demonstrated that 3 (three) injections needed to remove significant amount of fat, at our VISTA Clinic Australia Melbourne cosmetic clinic experience it’s often needed only one injection. If our cosmetic patient has a lot of swelling after fat dissolving injection, they will loose most of the fat. Also, swelling is needed for skin tightening and collagen synthesis. 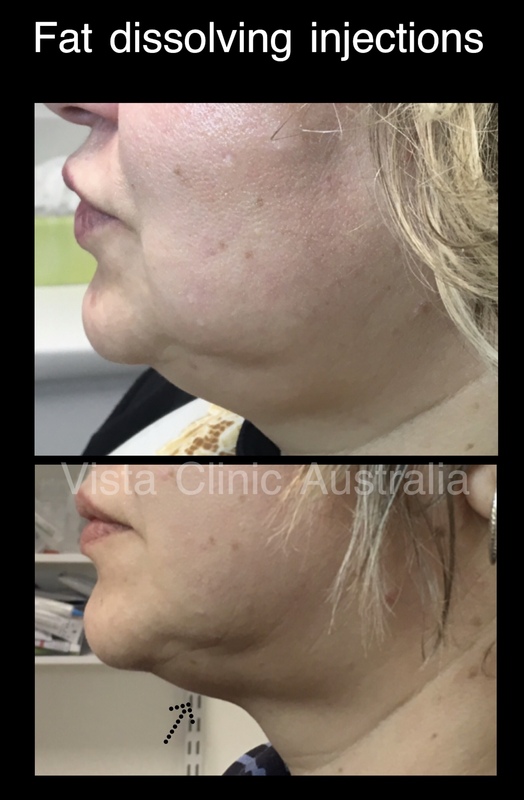 VISTA Clinic Australia Melbourne cosmetic patients often concerned if too mush fat is removed from the area, wouldn’t it lead to the loosen skin prolapse. Swelling actually tightens the skin and there is no skin hanging after fat dissolving injection. Also, bruising is possible and other rare side effects. Our experienced cosmetic doctor in VISTA Clinic Australia Melbourne will discuss with you all possible risk and side effects during informed consent process and you will be having opportunity to ask questions. How age related wrinkles look like? -thinner and less elastic skin, which breaks down under movements and prolapse down tissues. -fat is drooping down under gravity and loss of elasticity. Aging skin starts to fold and sag. 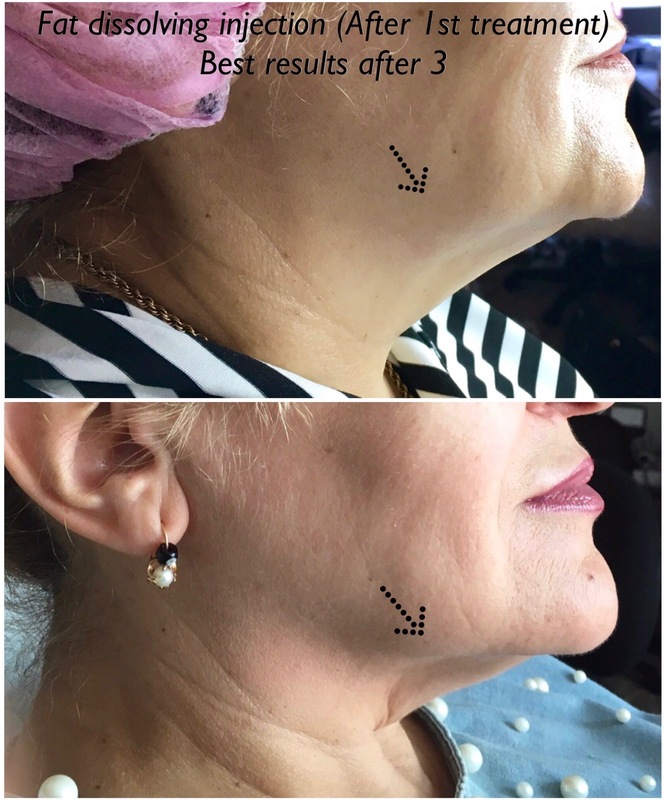 Most patients at our Melbourne Cosmetic Clinic would prefer to improve nasolabial folds, marrionette lines and jowls sagging with the subcision (it’s like an ironing folded skin from inside) at the same time as removing weight of fat from lower face, which is pulling down the face. How swelling after far removing injections look like? Nobody will notice that, but you will see that and swelling will annoy you. The whole idea why cosmetic patient came for cosmetic fat removal injections is because double chin or excess fat bothering people, and now it get bigger. On the photo here you can see one of our doctors, Dr Larissa Miller, is having swelling after fat removal injections. It’s definitely there, and person is usually quite self – conscious about the swelling, but not to bad to make other people to ask questions or even notice that. People pay to us much less attention than we think they are. Modern society too much focus on themselves. Anyway, that’s another philosophical topic. Just be confident, don’t worry. When swelling will be gone, you will love it. Focus on a bigger picture.